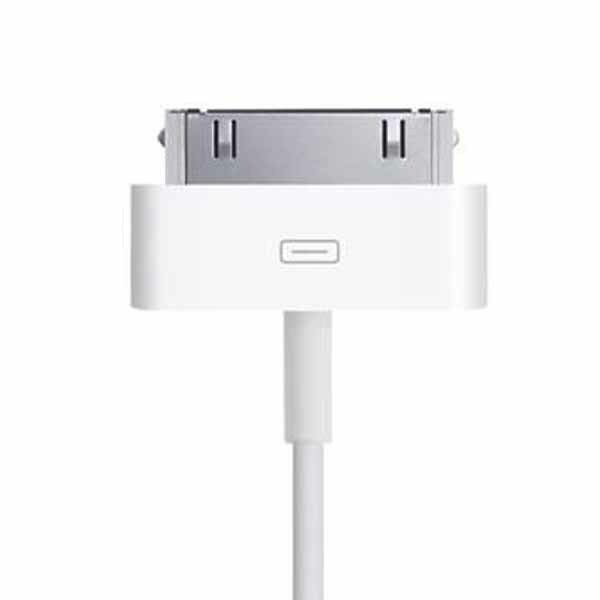 Official Apple 30-Pin to USB Cable. Exactly the same item that you would purchase from the Apple Store only minus a box and over 70% cheaper! 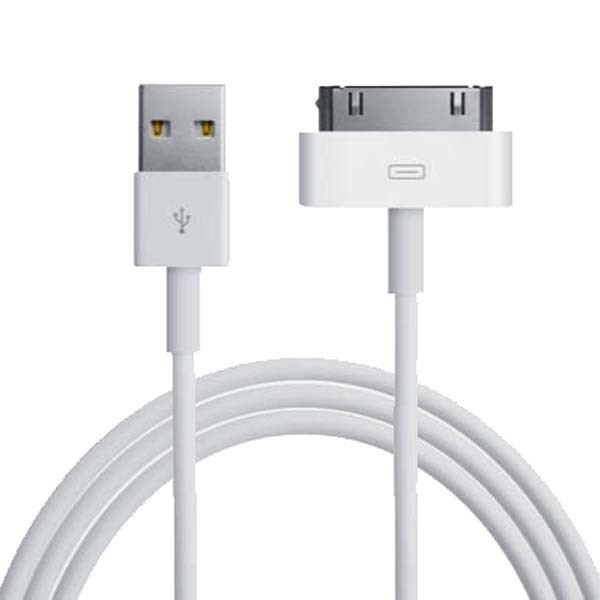 The Apple USB to 30-Pin Cable is Apple's charging and sync cable for older model Apple devices such as iPhone 4 and first model iPads. The 30-pin to USB cable connects your Apple device (iPod, iPhone, or iPad) directly to your computer's USB port for efficient data transfer, device syncing and charging. The USB connector can also be used in conjunction with an Apple USB Power Adapter (or any USB equipped plug) for convenient charging from a mains wall socket. Q. Will this work with an iPhone 5? A. No, this is only for iPhones with the 30-pin connection. Please see above. iPhone 5 requires this cable here. Q. Does it come in a box? A. No the cable comes as 'bulk packaged' meaning no retail packaging but saving you over 70%! Q. Is this a fake Apple cable? A. No, this exactly the same cable you might purchase from an Apple Store. We offer a Genuine Product Promise and can assure you the cable is a Genuine Apple original. Searched ages to find a decent Apple old style cable, had this one for weeks now, happy with it! Excellent service, promptly delivered and works perfectly. Arrived on time and works great! I am not very good with technology and ordering online, so I would like to commend Digital Save for their easy to navigate website, finding the correct cable for my phone was easy compared to some other websites. I also gave them a call to double check what I had ordered was indeed correct, they was more than happy to help and reassure me, even offering to take an order over the phone in future . You don't usually get good customer service like this these days.